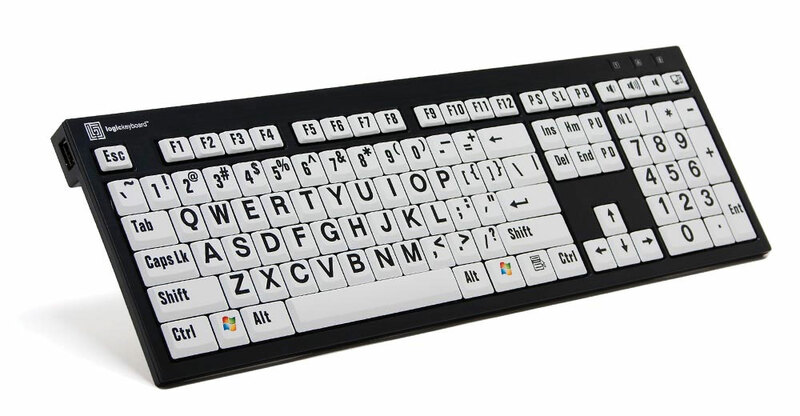 XL Print PC Keyboard Black on White keys are perfect for easy reading and typing. Designed for visually impaired users, or those who have a hard time reading existing commands on their keyboards. 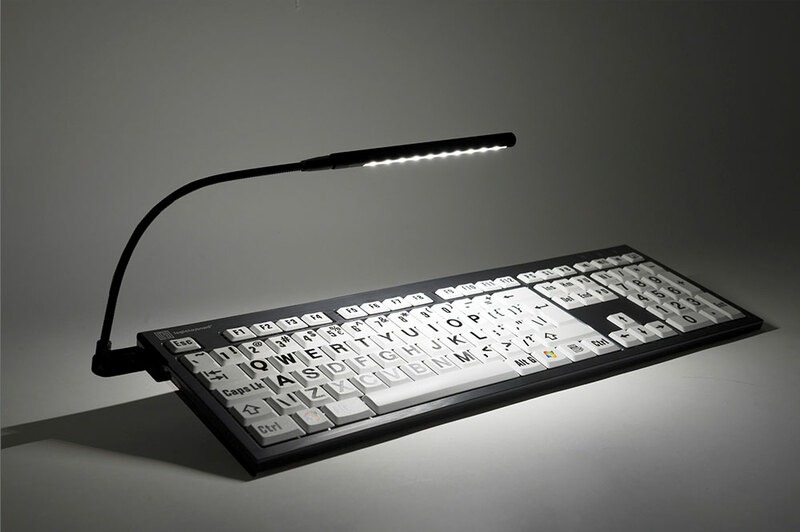 The custom large print makes controlling the keyboard so much faster and simpler, without eye strain. Two USB Hubs: built in 2.0 full speed ports for additional desktop expansion. Windows Platform: Windows XP, Vista, 7-10, Connection: Wired USB cord length 5 feet (1.5 meters), enhanced scissor key switches, thin keycaps with sensitive and responsive touch. Comes with PC large print keyboard, logic light keyboard lamp, warranty info., user guide, cleaning tissue, cleaning instructions.